The Roll-Up Blanket can be easily carried and used when you decide to enjoy the great outdoors. It is surface washable and easily folds within itself. The Roll-Up Blanket can be easily carried and used when you decide to enjoy the great outdoors. It is surface washable and easily folds within itself. 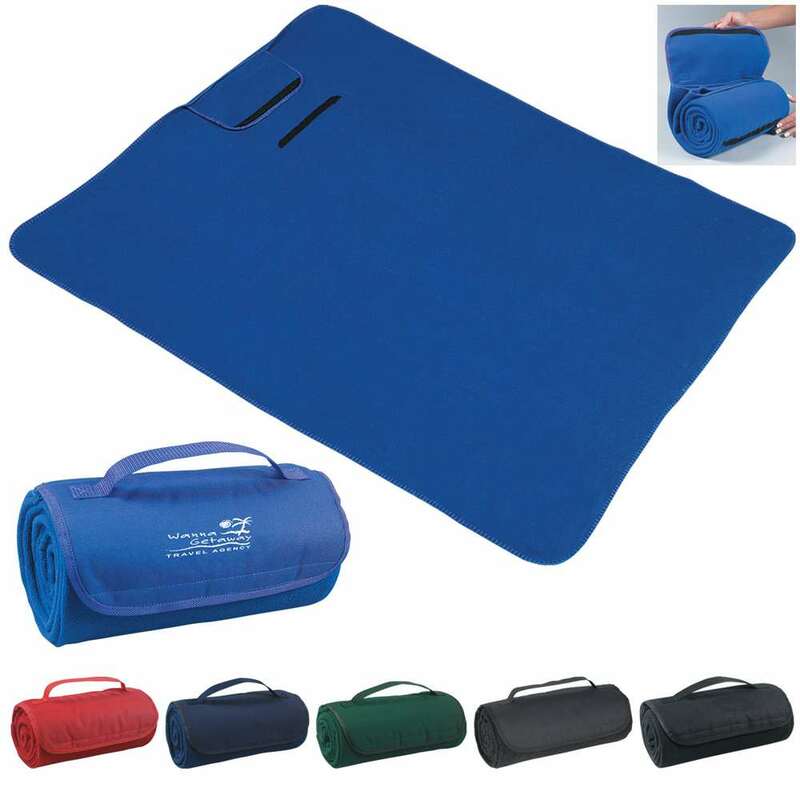 A Velcro® closure secures the blanket and the attached handle makes it easy to carry. Screen print your company’s logo on this cozy blanket, to gain widespread visibility for your brand. It is available in dark blue, black, hunter green, charcoal, red, and royal blue colors. Gift your customers this long lasting promotional product that will exponentially boost your brand’s image.